Scene during the deportation of German Jews to Theresienstadt ghetto. 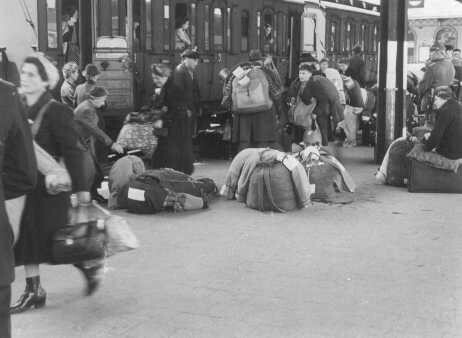 Jewish deportees from the Hanau, Gelnhausen and Schluechtern districts wait with their luggage on the platform at the Hanau station before boarding the deportation train. Hanau, Germany, May 30, 1942.